China accused Canada of violating a bilateral agreement by failing to speedily inform its consulate of the arrest of Huawei Technologies Co. Chief Financial Officer Meng Wanzhou, as tensions between the nations continue to escalate. Despite follow-up questions on when Beijing found out about the detention, Lu declined to provide more details. Over the weekend, Chinese authorities separately summoned the ambassadors of Canada and the U.S. to protest Meng’s arrest on allegations she committed fraud to sidestep sanctions against Iran. The case has become a flash-point in ties between the U.S. and China that’s rattled investors and sent stock markets tumbling. Vice Foreign Minister Le Yucheng warned Canada’s ambassador that his nation could face "severe consequences" if it didn’t release Meng immediately. Le said earlier in a separate statement that U.S. actions have violated the “legitimate rights and interests of Chinese citizens and are extremely bad in nature,” while also pledging further action. China and the U.S. are grappling with how to react to the incident, which threatens to upend progress in trade talks achieved in Argentina. President Donald Trump’s trade team sought to insulate talks with China from the growing dispute on Sunday, while officials in Beijing have debated the pros and cons of retaliation. On Friday, the U.S. began a case against the Chinese telecoms giant in a Vancouver courtroom, alleging Meng had hidden ties between Huawei and a company called Skycom that did business in Iran, a lawyer representing Canada said during the court hearing. Canada is presenting the case on behalf of the U.S., which wants to extradite Meng. 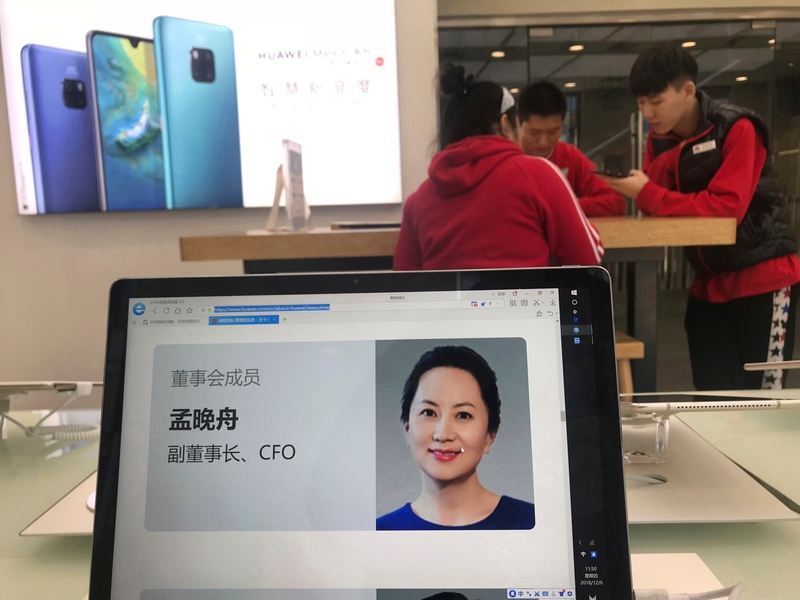 Her lawyers have cited health issues in a bid to free the Huawei finance chief, painting a picture of a cancer survivor who’s undergone multiple surgeries and needs daily medication to cope with a plethora of health issues. They also outlined how her entire family has deep roots in Vancouver, where she’s being held. She’s also offered to put up a couple of multi-million-dollar homes as collateral. Are you worried about the outlook for Canada-China relations due to the Huawei CFO’s arrest? Meng’s case has struck a nerve with Chinese officials in part because Huawei, founded by her father Ren Zhengfei, is a national champion at the forefront of President Xi Jinping’s efforts for China to be self-sufficient in strategic technologies. Along with Huawei’s growing prominence has come increased scrutiny from the U.S. and its allies over fears its equipment could be used for spying, with Kyodo News reporting that Japan could join Australia and New Zealand in keeping Chinese equipment away from their phone networks. China seeks fair, transparent and non-discriminatory treatment from Japan, Lu said. Lu also pushed back against comments from those in other nations who allege Huawei may pose a security threat, saying there isn’t any evidence of cyber-security problems. "I want to stress that the Chinese laws and regulations do not authorize any institutions to force any enterprise to install forced backdoors," Lu said. "The Chinese government always encourages its enterprises to abide by international rules and local laws."